First Friday is upon us and this month we’ve changed it up and are going to Monkish. The reason we decided to do this is because Triumphus is on tap! What is Triumphus? 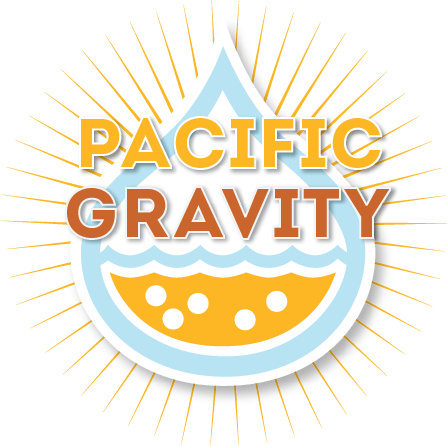 It is the best of show beer at the Los Angeles Belgian Brew Challenge (ran by Pacific Gravity) this year, that was won by our very own Brian Holter and Kingsley Toby! 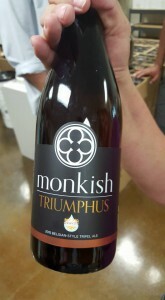 Not only is it a delicious tripel, it will be entered as a pro-am for this years GABF! Even more awesome, it also comes in corked bottles which are only sold at the brewery! There are limited quantities so make sure you support the club and Monkish and buy some, it’s really good, as Henry and co have graciously supported us for this competition and even put the PG logo on the bottle! How cool is that?! Monkish does have snacks available in the tasting room and outside food is welcome, so please make sure you plan accordingly.